Have you ever considered additional car security? According to data.police.uk statistics, around 89,000 vehicles were stolen in Britain in 2017; a huge difference from 56,000 in 2016. On top of this, 68% of motor thefts reported between 2012 and 2016 went unsolved. Having a security system installed in your motor vehicle could be a tempting option, especially with the possibility of it lowering your car or van insurance premiums. Vehicle tracking devices can be expensive, with the most basic trackers costing around £200 outright or can be leased at £9.99 per vehicle, per month according to approvedindex.co.uk. This doesn’t include any installation fees which may be included. If the tracker leads to the vehicle being found, insurers may be able to recover some of the costs of the claim. This would mean they have to pay out less and would reduce the cost of the claim. 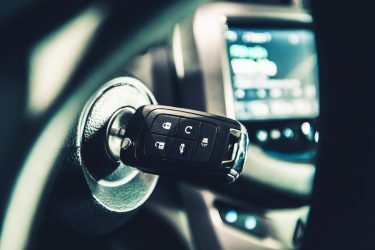 Other options to improve car security are having things such as car alarms, immobilisers and steering locks installed, all which could help prevent your vehicle from being stolen or broken into. Often these are move prevention and avoiding the inconvenience of losing a vehicle than necessarily saving money on insurance premiums. When considering your car security options, it is important to weigh up the costs involved. If you do decide to purchase the device, the positives are that it has the potential of lowering your insurance costs but more importantly, it will give you peace of mind that your vehicle is secure. However, if you decide not to opt for a tracker, then it’s well worth investing in some other, cheaper forms of security for your vehicle, such as car alarms and immobilisers. While these may not have the same impact on your insurance, it will still be a deterrent.